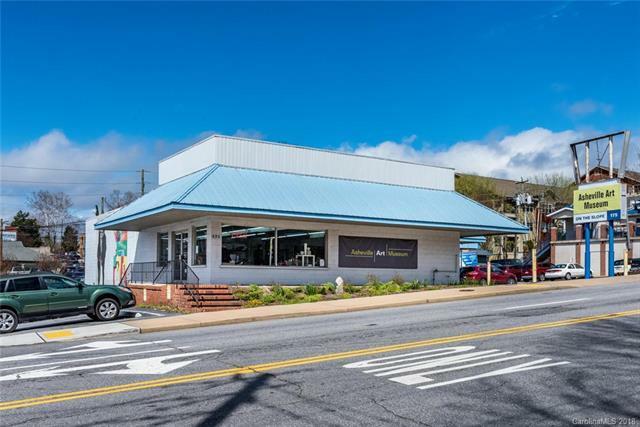 Prime commercial property on Biltmore Ave. This free standing building offers great retail exposure, one rear loading dock and 11 exclusive parking spaces. This building offers an open floor plan of 4821 sf on the main level and an 1573 sf walkout basement. Perfect for food and beverage operator with the ability to have rooftop access. Stained concrete floors, lots of windows, great signage on the main corridor into downtown Asheville. $17.83/SF NNN lease - $9,500/month.